Description: Me&My Big Ideas Collection Create 365 is a system that combines your love for creativity with your need for organization. 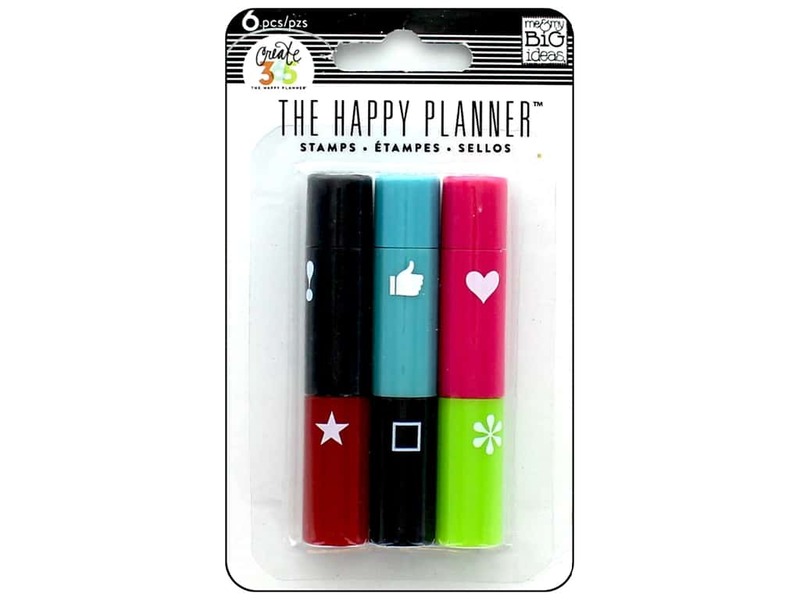 Happy Planner Stamps Stackable Icons- Icon stamps are a simple way to attract some attention to items on your many lists. 6 icon stamps with five different ink colors, reflected on outside of each stamp; turquoise, pink, red, green, and black.